A sleek, waterproof 3-in-1 shaver with a wide head makes for a quick shave. An integrated vacuum collects cut hair and 18 setting options make controlling length quick and easy. Compact and precise, with titanium-coated blades and touch-screen controls. 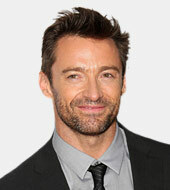 Hugh Jackman, master of scruff. As we move slowly away from autumn and into the long stretch of winter, there's something about this time of year that makes you want to slow down and take it easy. Blame the bigger meals, longer nights or playoff football. Whatever the reason, it feels like the appropriate time to forsake formality in favor of comfort. Case in point: The winter scruff. Some call it stubble, others call it laziness, but somewhere between your end-of-the-day five o'clock shadow and a legitimate beard is what you're looking for. But don't take our word for it. According to a recent Northumbria University at Newcastle study, women rated men with light stubble as the most attractive and masculine. Which might explain why there are a handful of so-called "stubble trimmers" now on the market. Here are some of the best out there. Winter scruff makes for a sharp look that plays up the angles of your face. And it's easier to maintain than you might think. Simply find the length (and shaver setting) that works for you and go over the facial hair every three days or so. Keep your neck shaved from the top of the Adam's apple on down. Once a week, soften and clean the hair by exfoliating your face.